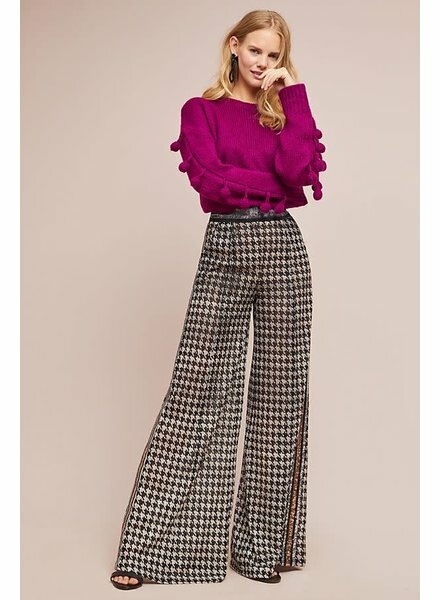 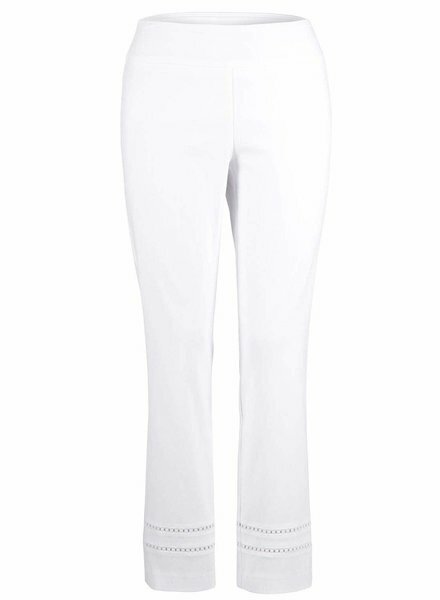 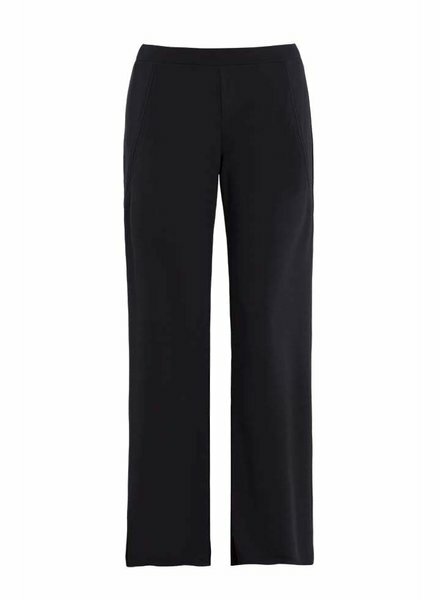 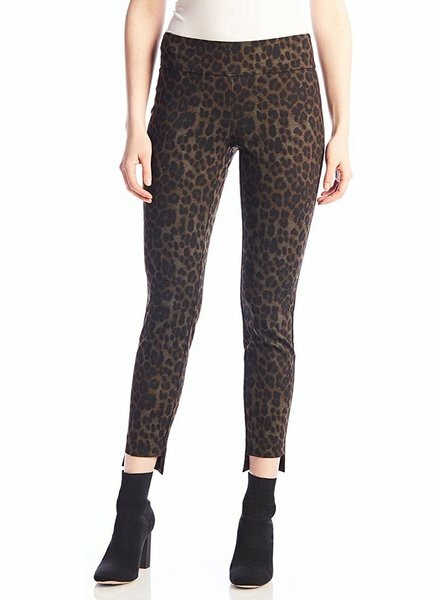 The Black Polyester Pull On Wide Leg Pant by Dolcezza is a 90% Polyester and 10% Elastane pant with an elastic waistband without pockets in a solid black color. 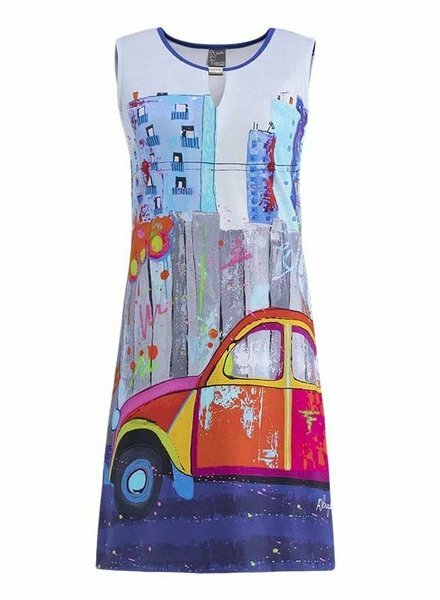 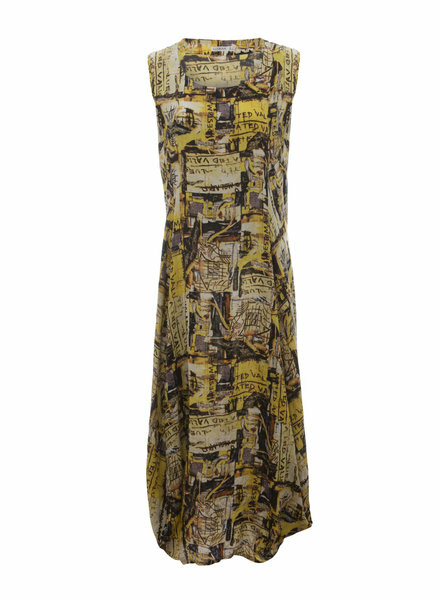 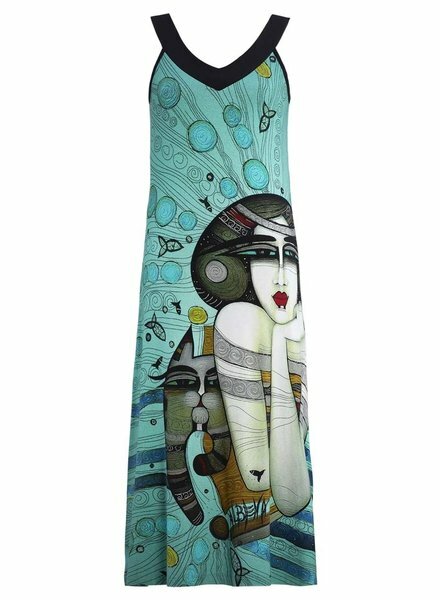 A sleeveless dress with a front keyhole with a silver accent while featuring artwork by Annabelle Delage. 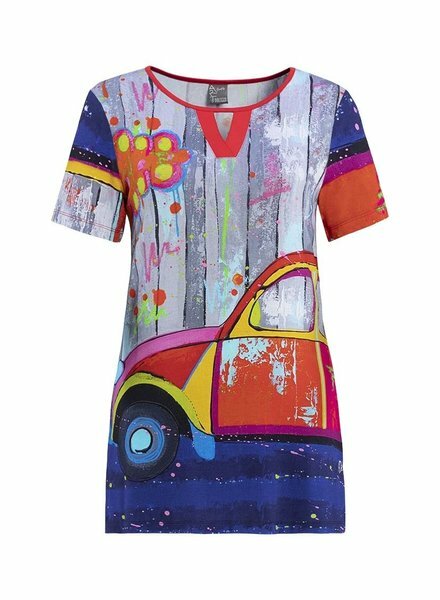 A short sleeve top with a V Neck Keyhole cutout with red trim, featuring artwork by Annabelle Delage. 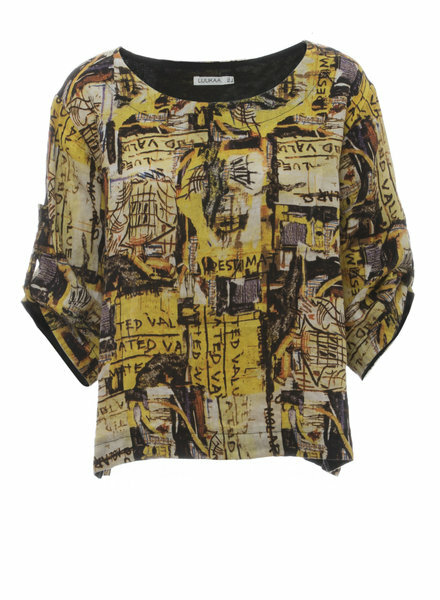 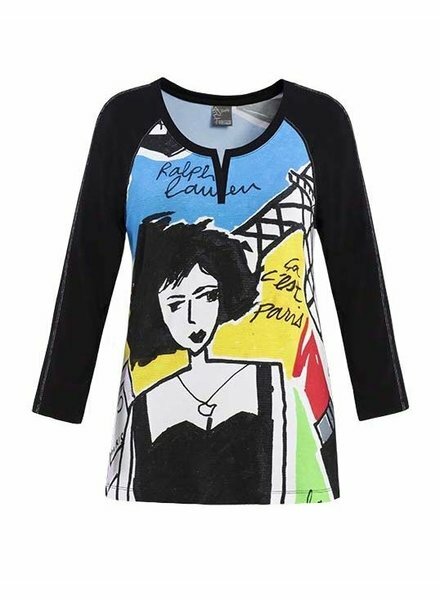 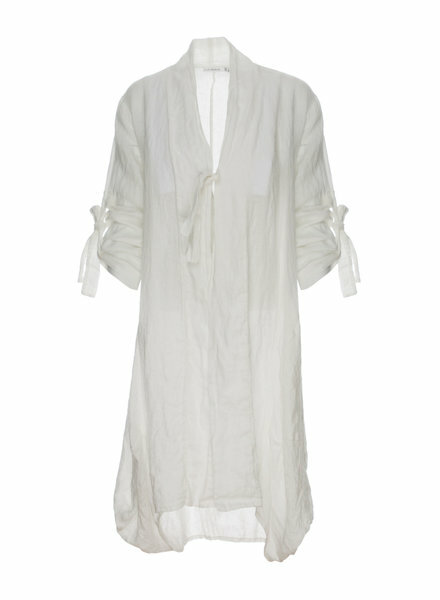 A long sleeve tunic with black sleeves, a slight v neck slit and features artwork by Thierry Rouxel, an Artistic Director and Painter. 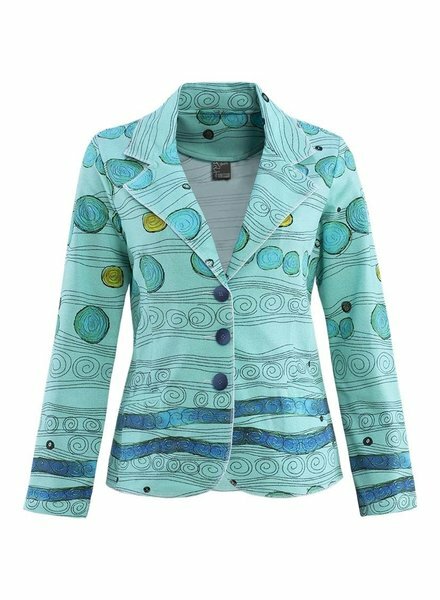 The Reuerie Knit Jacket by Dolcezza features artwork by Albena Vatcheva, with 3 black buttons and long sleeves. 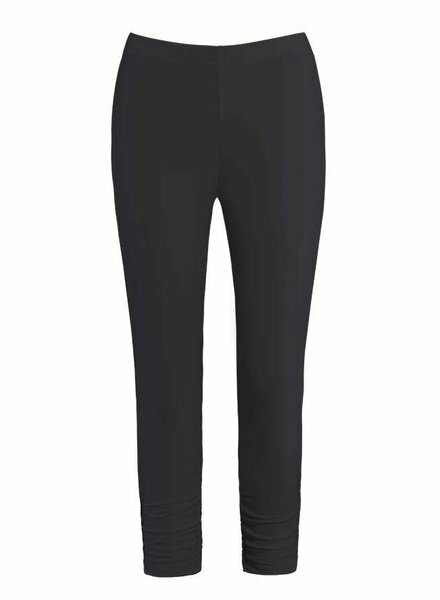 You will never love a pair of pants more than these, try the UP Techno Basic Petal Slit Ankle Pant in Black. 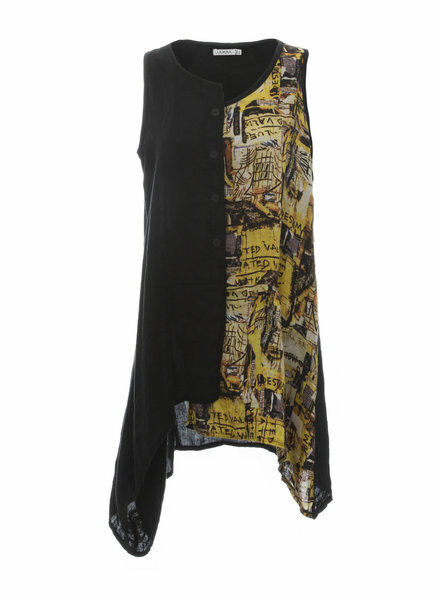 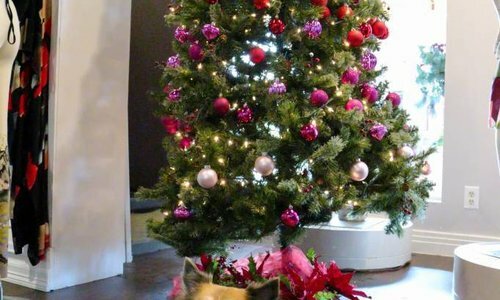 Add some fun in your wardrobe this season! 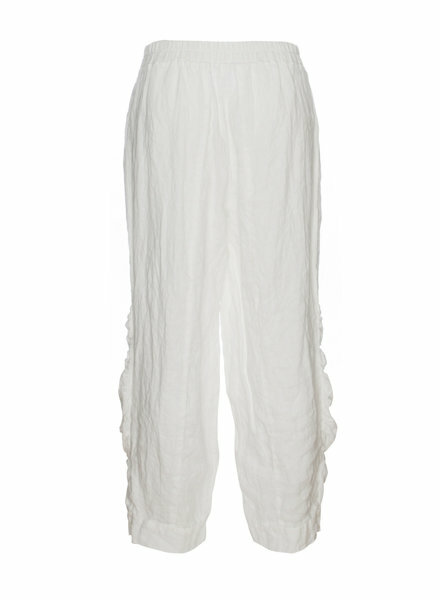 Blossom in the UP Techno Basic Lace Detail Ankle Pant in White. 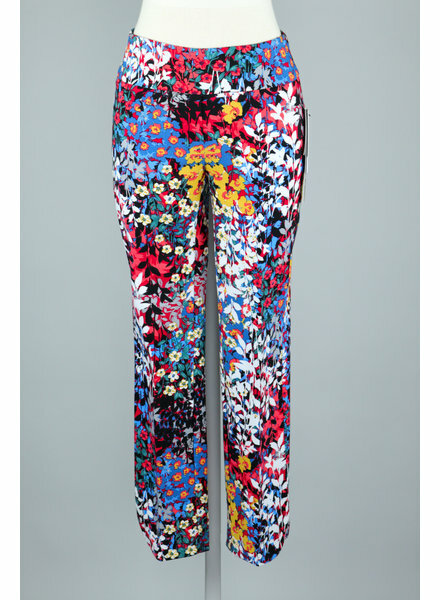 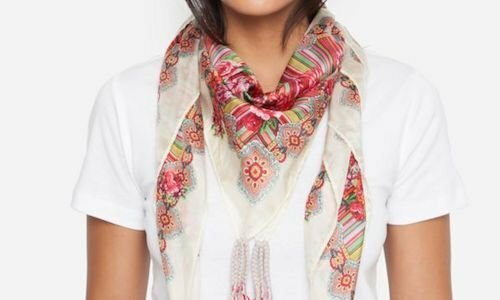 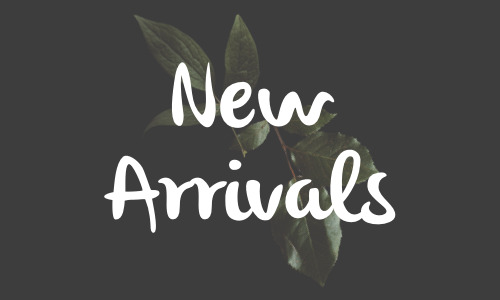 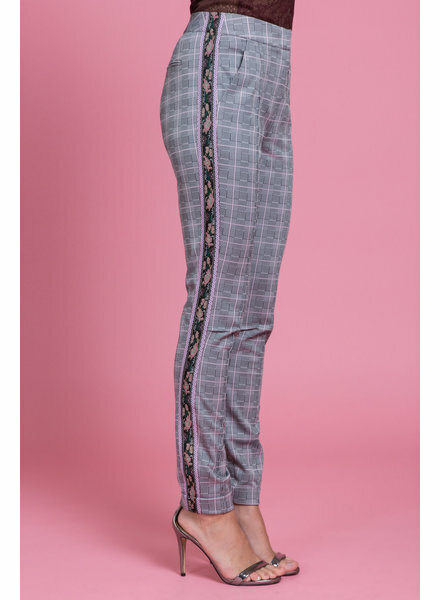 Chic and versatile these pants have a wide elastic waistband, a straight leg, with and added curved slit, and done in a playful multi- colored floral print. 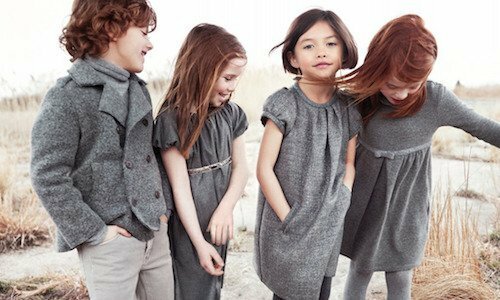 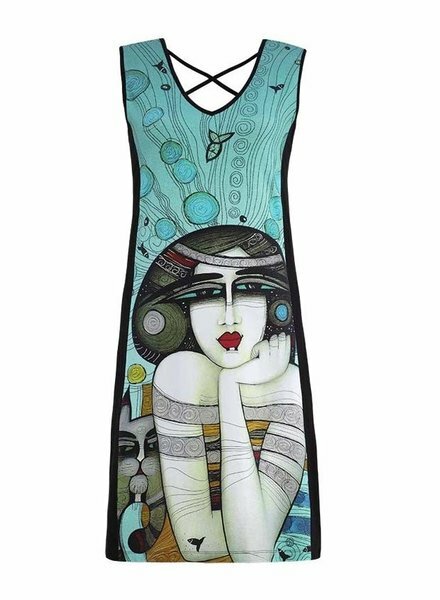 The Reuerie Knit Dress by Dolcezza features artwork by Albena Vatcheva. 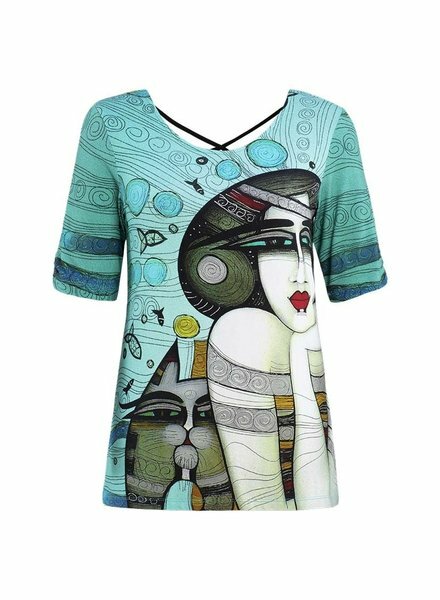 The Reuerie Snap Front Knit Top by Dolcezza features artwork by Albena Vatcheva, a sleeveless design and a black hem V Neck. 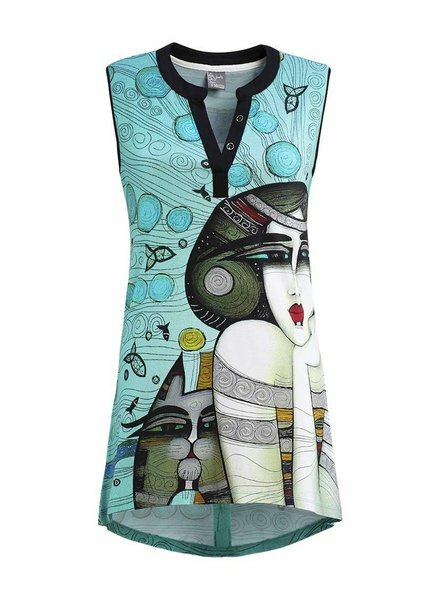 The Reuerie X Cross Back Knit Top by Dolcezza features artwork by Albena Vatcheva, a longer short sleeve and a black X cross back detail.